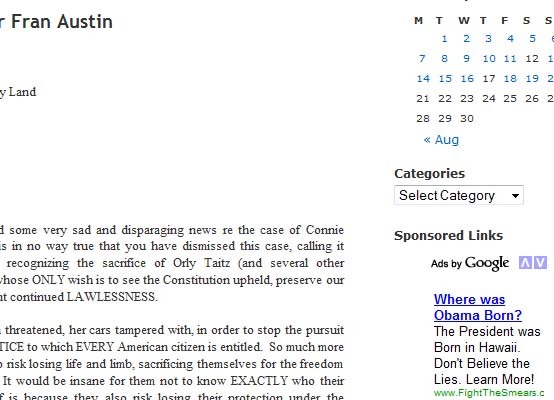 Birther web site, The Post and Email, appears to be preparing for a dismissal of the Kerchner v. Obama lawsuit in an article published yesterday. Usually the judge throws out a birther lawsuit, and then the birthers attack the judge as a coward, or a traitor, or incompetent. This time, before Judge Simandle rules in Kerchner v. Obama, the birthers are already attacking, painting him a radical liberal elitist, I presume in preparation for the inevitable dismissal. I’m not a lawyer (I did finally learn that there is no “u” in attorney), but I thought Berg’s cases were filed in Pennsylvania. So why is this subpoena coming out of California? Did the Third Circuit run out of blank subpoena forms? Given that Berg knows more lawyering than certain other nobot lawyers, maybe this is actually right. But Phil, Phil, Phil. You can’t subpoena a foreign ambassador! It is just not done. Why didn’t you subpoena the North Koreans for their nuclear plans — get something USEFUL. It won’t work. You need one of those rogatory thingies. So what’s going to happen (pick one)? The ambassador will reply to the subpoena that President Obama was not born in Kenya and that there is no birth certificate, which will convince the birthers that Obama was born in Kenya–as evidenced by the coverup. I wonder if this isn’t a hoax. It’s too nutty to be true. And who is this “Private Attorney General” clown Paul Mitchell? In the mind of Orly Taitz, birther lawyer, the world is a very different place from the one inhabited by normal people. Not only is President Obama an illegal alien, the Federal Emergency Management Agency (FEMA) is preparing a string of “concentration camps” to incarcerate all the real “patriotic Americans” (i.e., those who share her delusions). When Judge Land in Georgia pointed out for the world that Orly Taitz had brought a lawsuit with no legal merit for the purposes of publicity, and threatened a $10,000 fine, Orly struck back calling the judge a “traitor” and saying she was about to be sent to the “FEMA Gulag“. I hope they don’t have Internet access in the FEMA Gulag. I for one will be glad to be rid of her. This was a saying about Republicans, made a few years ago. It refers to a group turning against its own members. The first big crack in birther unity was the Liberi v Taitz lawsuit, involving a long list of birthers including Phil Berg, Orly Taitz and Ed Hale (Plains Radio). Then there was the open feud between Orly Taitz and Gary Kreep that surfaced in court in the Barnett (Keyes) v. Obama case in California. Now Orly’s helpers and witnesses in Barnett say Orly asked them to lie. 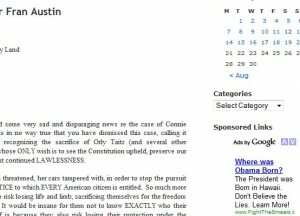 The article is reported at RenewAmerica.com in the article, Orly Taitz accused of suborning perjury for Barnett v. Obama — updated including affidavit, etc. Later today I will be faxing to the United States District Court in Santa Ana, California as well as to the U.S. Attorney’s Office an Affidavit informing Judge Carter that on September 7, 2009 Orly Taitz did knowingly and intentionally ask me to appear before his Court on September 8, 2009 and give knowingly false testimony for the purpose of obtaining “expedited discovery,” and to gain publicity for my book. It’s really not a question of Sinclair’s word against Taitz. They are ALL frauds, but I just admit there is a certain satisfaction that these fear mongers and propagandists have turned on themselves; they deserve it. A birther front fake news site (really a free WordPress.com blog), the Post and Email, put out a big story, blown around the birther ditto web sites, that the New Hampshire Secretary of State was investigating Obama’s eligibility. Yeah, right. Dear birthers: New Hampshire Secretary of State Bill Gardner is not investigating President Obama’s birth status. If asked, his staff will say no, and that doesn’t mean, “We won’t tell you.” It means no. Of course for birthers, a story works just as well whether it is true or not. You can’t make this stuff up. I almost spilled my lunch when I saw a Barack Obama ad on Orly’s web site! Where was Obama Born? The President was born in Hawaii. Don’t believe the lies. Learn more! Orly’s Greek chorus (look it up) thinks this is a big plot by Google Ad Sense; but that’s OK. They think they are going to drain Obama dry by clicking on the link. What maroons! Janet Porter, the right-wing fundamentalist purveyor of lies about Barack Obama and promoter of the infamous fake travel ban to Pakistan is back as a shill for a fantastic story about a conversation between the shadowy figure Tom Fife and an unnamed Soviet couple in 1992. (Could it get any fuzzier?) We have the story courtesy of right-wing front faux news organization, WorldNetDaily who frequently serves as Porter’s mouthpiece. Typical for tall tales like this, the writer attempts to gain credibility through unverifiable claims that the teller is somehow connected with the intelligence community. In this case, it’s the Defense Intelligence Agency instead of the staple CIA. What is the claim? Barack Obama is a Soviet sleeper agent. The story is has all the hallmarks of fabrication and none of the hallmarks of something that could ever be verified. A second complaint has been filed with the California Bar against correspondence school attorney Orly Taitz, leading to speculation that California will reconsider its practice of licensing attorneys who have not attended an accredited law school. TPMMuckraker reports that professor Subodh Chandra, who practices in Ohio and is also an inactive member of the California bar, has filed a formal complaint against Taitz. California bar rules require attorneys to exhibit respect for the courts. I guess calling Judge Land in Florida a “traitor” and a “regime puppet” goes beyond proper respect for the court. A more detailed complaint was filed anonymously by another lawyer last April. I hope they act soon. Orly Taitz is a danger to herself and others.